Episode 226 is here! There's really not a lot of news this week. Seriously, there's hardly anything. But we have things like High Roller Pony Con coming back next year. Nemesis and Alca7raz have the season 8 episode, "The Mean 6" to talk about! It's the mid-season finale, and it's kinda divisive. 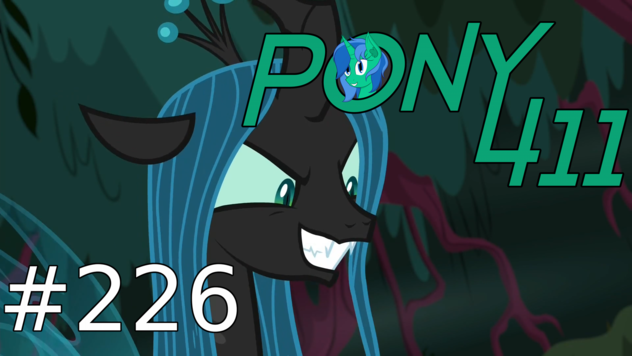 Chrysalis returned, and she wants revenge. After that, it's a new fic in Fan Content. So tune in!